See the best of Paris and visit the iconic Eiffel Tower! 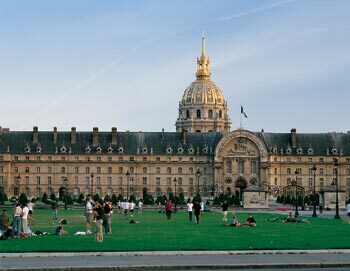 This tour combines an educational sightseeing tour with a trip to the second floor of the Eiffel Tower. Avoid the long lines at the Eiffel Tower, book your tickets from home and skip the line! The tour starts with your guide taking you on an hour tour of the historical center of Paris in an air-conditioned double decker luxury coach, ending at the Eiffel Tower. This way you avoid all the inevitable chaos at the Eiffel Tower plateau. Instead you just arrive at the foot of the Eiffel Tower, skip the long lines and start the ascent to the 2nd floor. 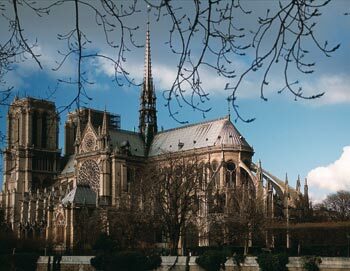 With audio commentaries (available in 15 languages including English, Spanish, French, German, Italian, Dutch), you will hear about the history of Paris and get the opportunity to admire its main squares, bridges, main streets and buildings. The sightseeing tour ends at the foot of The Eiffel Tower, where you can avoid the massive lines and go directly to the elevator for a ride up to the 2nd floor of the Eiffel Tower, from where you have a wonderful panoramic view of Paris. If you wish, you can buy tickets to the 3rd floor of The Eiffel Tower on this floor and continue on your own. Shortly after your booking is complete your e-ticket will be sent directly to your email, just print it and bring a copy to Paris. The tour departs from our agent PARISCityVISION's office. Please show up 30 minutes before departure. The tour lasts approx. 3 hours, depending on how long you spend at The Eiffel Tower.